"the life of the party." "Rashawn was uniquely gifted and destined to excel." Even as a child, it was clear that young Rashawn Brazell was special. Even his earliest standardized test scores agreed, Rashawn was uniquely gifted and destined to excel. He also had a very strong capacity in helping others less fortunate as well. When he was young, his mother started to notice a large amount of food missing, it turned out that Rashawn had taken bags of food to the homeless. Rashawn preferred the company of those considered by some to be outcasts and committed himself to brightening their days in whatever way he could. In turn, friends remember 'Shawn' as an excellent listener, perpetually poised to offer kind words and advice to his many friends. Not surprisingly, he was seldom seen without his cell phone, the lifeline that connected him both to his schoolmates and to his closest friend, his mother. An energetic and intelligent pupil, Rashawn had a thirst for knowledge that was clear from the very beginning of his schooling. Year after year, his teachers would report how they had been obliged to create additional challenges and extra exercises for the bright young man who seemed to process and retain information much more thoroughly than his peers. Even his earliest standardized test scores agreed, Rashawn was uniquely gifted and destined to excel. Accordingly, Rashawn was consistently selected for academic programs designed for talented and gifted students. By the beginning of his high school years, he began to take an interest in computer courses and quickly eclipsed his peers with his ability to master complex tasks with ease. His flair for problem solving also resulted in noteworthy grades in his math courses. Rashawn also enjoyed the study of history, particularly stories about the achievements of African Americans. To this end, he made many trips to the public library in search of instances in African and American history when black men had managed to rise to power and occupy leadership positions. Energized by this independent research, Rashawn would amaze his friends and family with his newfound knowledge. It became clear that for Rashawn, the learning process continued well beyond the confines of the classroom. Standing over six feet tall, Rashawn had grown to be a handsome and charismatic young man who would be described as "the life of the party." Though he was well-liked amongst students and faculty alike, Rashawn made a point of downplaying matters of popularity. Instead he befriended students to whom the quest to be accepted had not been as kind. Moved by his peers' stories of troubled pasts and broken homes, Rashawn preferred the company of students considered by some to be outcasts and committed himself to brightening their days in whatever way he could. In turn, friends remember Shawn as an excellent listener, perpetually poised to offer kind words and advice to his many friends. Not surprisingly, he was seldom seen without his cellular phone, the lifeline that connected him both to his schoolmates and to his closest friend, his mother. Rashawn deeply cherished this climate of unwavering and unmitigated support. Hearing the hardships his peers endured on a daily basis highlighted for him how rare it was to be afforded the space to grow, explore and thrive. He was particularly moved by his experiences at "The Door," a Manhattan-based agency that offers educational and counseling programs for youth ages 12-21. Touched by stories of abuse and neglect from fellow participants in the agency's after-school programs, he became introspective about his own life. He confided in his mother "I have a good life. You love me for who I am and support me. Lots of people don't have that." In turn, Rashawn resolved to invest his energy in instilling a sense of confidence and self worth in his friends. Rashawn's altruism did not end at friends, however. When massive amounts of food began to disappear from the Brazell residence, Desire was puzzled as to where her groceries could be vanishing to. When questioned about the food, Rashawn confessed that he could not resist the impulse to feed the homeless people in their community. Unbeknownst to his parents, Rashawn was regularly taking shopping bags packed full of food to people less fortunate than he. The family shared a hearty laugh about the disappearance, and Desire quietly marveled at her son's capacity to aid others. It was also well within his character to give the last of his meager earnings to someone he felt needed his help, motivated by his personal motto "the more you give, the more you get back." The desire to help people also permeated Rashawn's professional and academic plans. The teenager held a variety of jobs, but was genuinely excited about the prospect of working at New York-Presbyterian Hospital. He applied regularly for positions at the hospital, reasoning that even if he had to work in the kitchen, he would be content to be engaged on some level in the facility's mission to provide high quality and compassionate care for those in need. Rashawn and his mother also worked as a team to select a college and a major that would minister to his desire to interact with a diverse range of people. 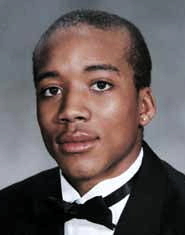 Rashawn decided to pursue medical administration at Monroe College and the two had planned to begin work on applications on the day of his disappearance. Desire Brazell and her son enjoyed a strikingly close relationship, often setting aside time for shopping trips or lunch on the town. When he was eighteen, Desire and her husband had their first conversation with Rashawn about his sexuality. Whereas many teens that question their sexuality live in fear of being disowned or berated by their parents, Desire and her husband took the opportunity to affirm their son and express their unconditional love for him. They fought to remove any element of fear or shame that might burden their son. Hearing his fears that they would encounter adversity within their close-knit community as a result of his sexuality, the couple assured him that they were not at all interested in how others might respond; his happiness and safety were their only concerns. Desire recalls that her son wanted to be remembered for touching the lives of his peers at critical point in their development. He did this not because he wanted friends to feel indebted to him, but because he wanted to inspire them to do the same for others. Rashawn refused to believe that any person was a "lost cause," and literally exhausted himself empowering others to change their conditions and improve their lives. 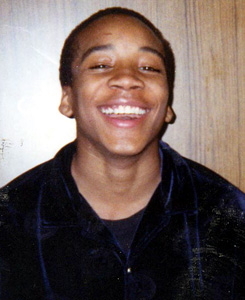 In February 2005, after he disappeared from his home in Bushwick, Brooklyn, 19-year-old Brazell's dismembered body parts were found in garbage bags strewn throughout the borough. Though his story was initially refused coverage in most mainstream media outlets, it incited overwhelming responses from bloggers, activists and outraged community members alike who complained that his horrific murder received such limited coverage because he was a black gay working-class male. 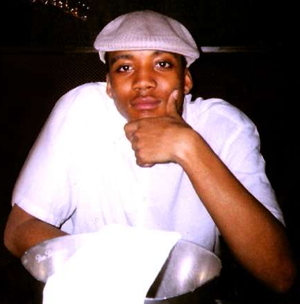 Rashawn's family reports that on the morning of February 14, 2005, Rashawn was scheduled to meet his accountant and then meet his mother for lunch in Manhattan. At 7:30 that morning, an unknown person rang the apartment building's security buzzer and Rashawn went down to meet him. According to other witnesses, Rashawn met a man outside his Brooklyn, New York apartment and the two men entered the subway together at the Gates Avenue J Line. Witnesses believe the two exited at the Nostrand Avenue A Line in Bedford Stuyvesant a short time later. 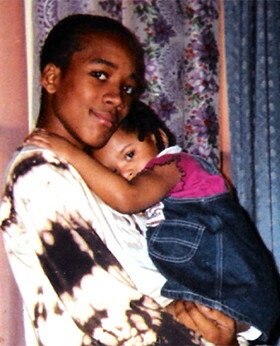 Rashawn was never seen alive again. Around 3:00 a.m. on February 17, 2005, New York City transit workers found two suspicious bags alongside the track at the Nostrand Avenue station in Brooklyn. It would spark the investigation of one of the most gruesome crimes New York has seen. One of the bags was a black trash bag. Inside it was a blue trash bag, and inside that were the body parts of a young black male. The medical examiner believes Rashawn was imprisoned for two days, and there is some evidence that he may have been tortured, before he was killed, dismembered and disposed of in the trash bags. Most murderers don't do that. Maybe we need more evidence to prove definitely that it was a hate crime, but we also need more evidence before we can dismiss the possibility that it was a hate crime. Racists and homophobes need not scrawl their bigotry into their victims' bodies before we treat their murders as hate crimes. As of April 2008, the case remains unsolved. 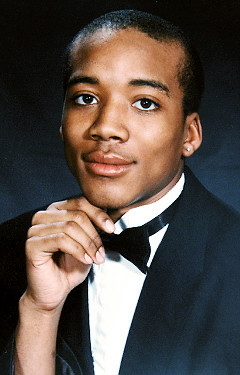 In 2005, The Rashawn Brazell Memorial Scholarship was created to encourage New York City high school students to reflect upon Brazell's legacy of selfless service and to think critically about the impact of intolerance and violence on their communities. Shortly thereafter, The Rashawn Brazell Memorial Fund was established to undertake the broader work of strengthening ties between communities formed around sexual identity and those formed around racial identity as a means of promoting tolerance and diversity. "I have a good life. You love me for who I am and support me. Lots of people don't have that."